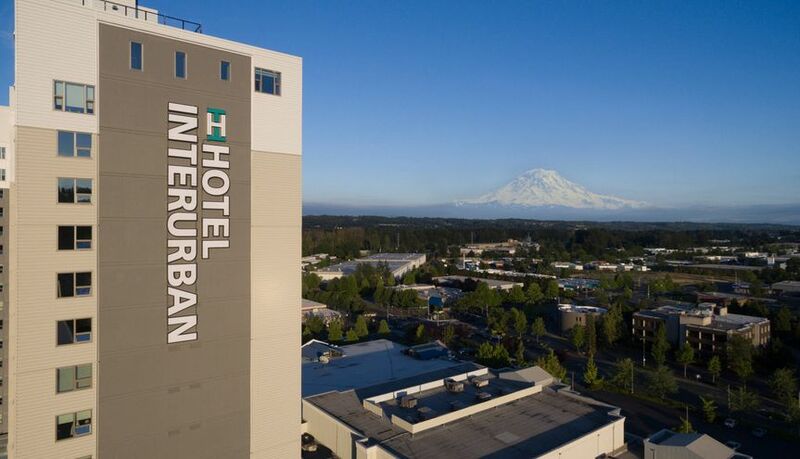 Located in Seattle, Washington, Hotel Interurban is an elegant wedding venue that will allow you to completely customize your special occasion. 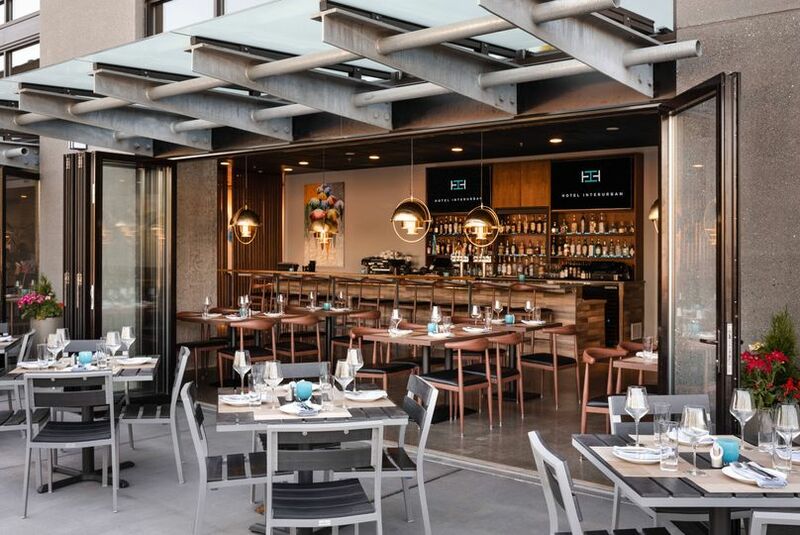 At this venue you can experience the breathtaking Rainier Room, located on the 19th floor, that offers sweeping views of Mount Rainier, globally-inspired cuisine for rehearsal dinners and post-wedding brunches, and a complimentary 24-hour airport shuttle for your out-of-town guests. 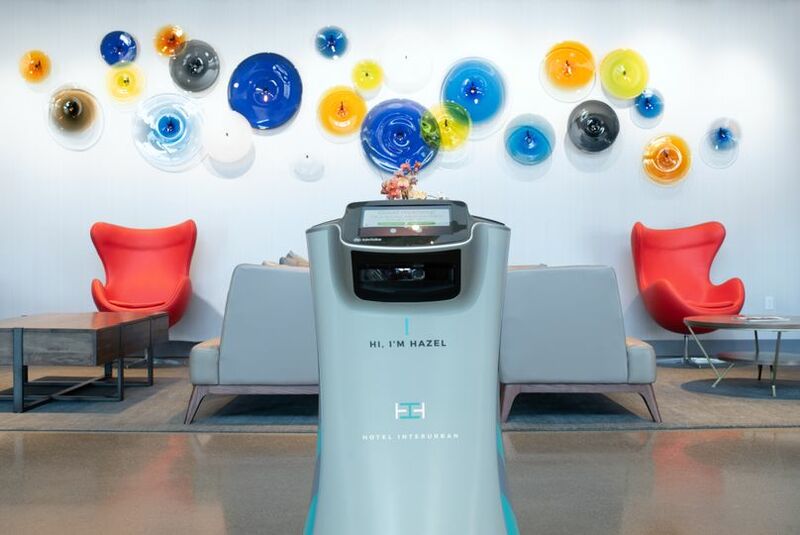 You can event let the charming Hazel the Hotel Robot greet your party as they arrive! 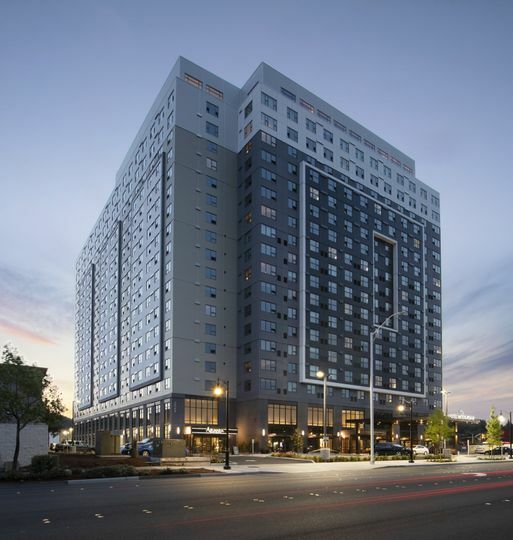 From small, intimate gatherings to large parties, the expert team at Hotel Interurban will help you create a magical and memorable event for all in attendance. 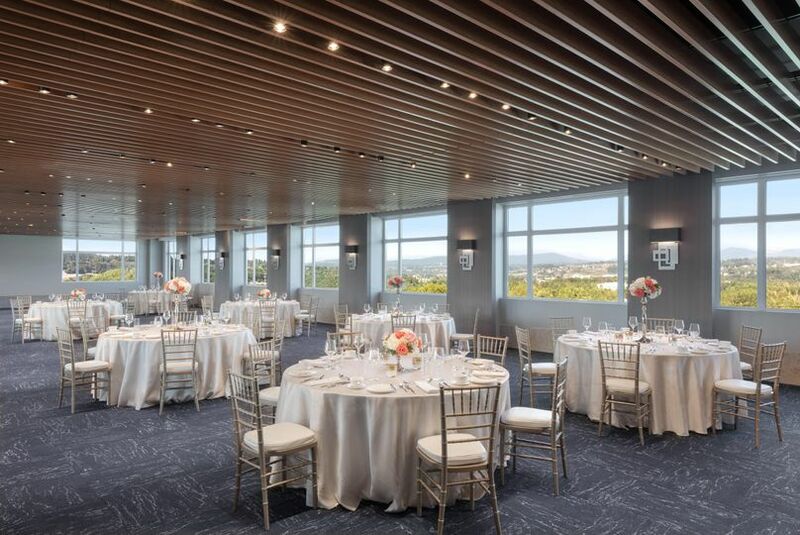 Hotel Interurban offers gorgeous, customizable spaces for your unique event. 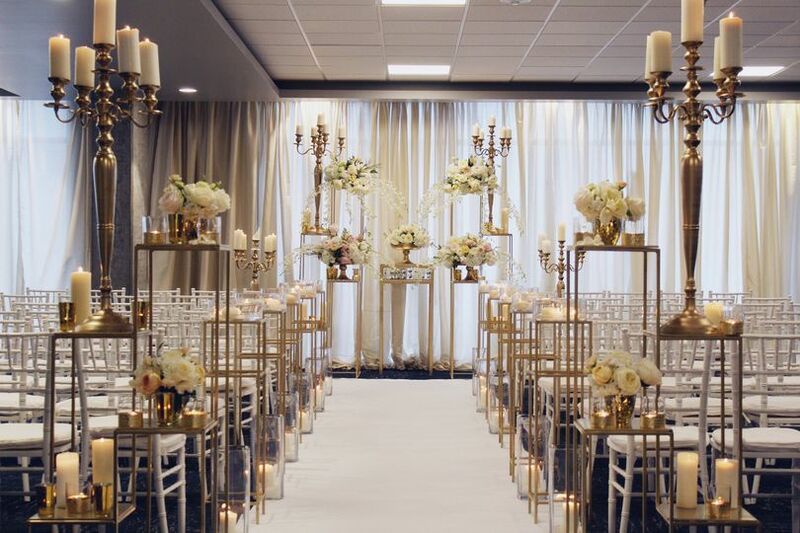 These elegant spaces can be designed exactly the way you need them to feel just for your special day. 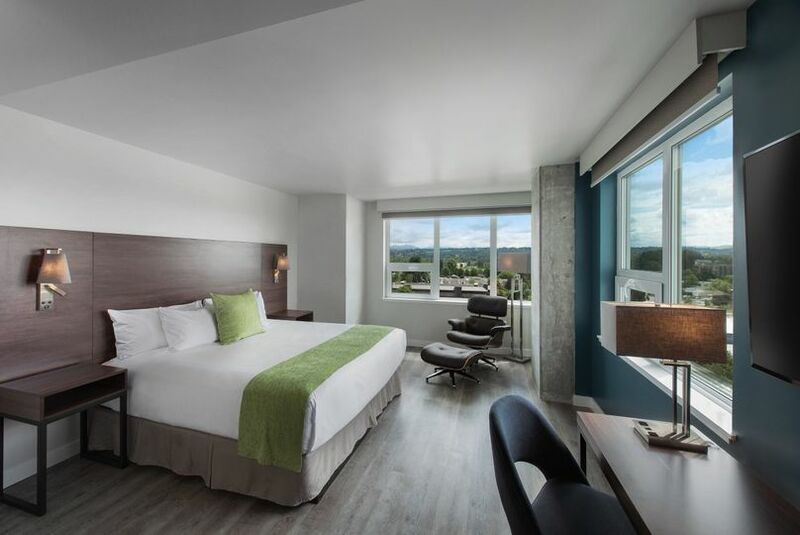 You may choose from the engaging Mount Si Room with enough capacity to host up to 345 guests, or the Rainier Room with incredible views of Mount Rainier and enough capacity to host up to 480 guests. 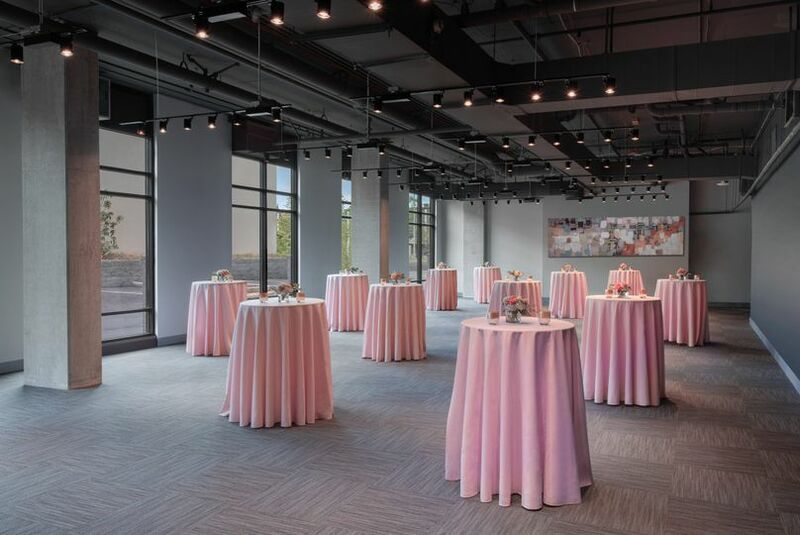 There are also many other spaces for receptions, rehearsal dinners, and post-wedding brunches. 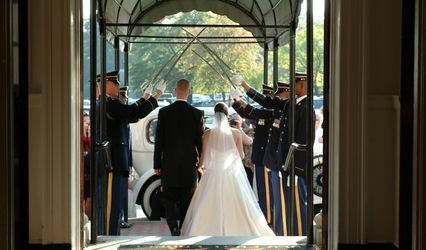 Hotel Interurban offers many unique wedding packages to couples, including a Post-wedding Brunch Package, a Honeymoon Package, a Military Wedding Package, and a Rehearsal Dinner Package. The most popular package option is the Signature Wedding Package. It includes overnight accommodations for the couple, a special guest room rate for family and out-of-town guests, discounted parking for all guests, menu tasting, champagne toast, ivory linens and napkins, china and flatware, votive candles, personalized printed menus, and stage and dance floor setup. Celebration add-ons are also available, and these include a bridal party hospitality suite, a bachelor party hospitality suite, cocktail hour, send-off bloody marys and mimosas brunch, sweet endings gourmet dessert station, dessert action stations, and late night bites. Hotel Interurban offers a variety of menu options to wedding couples and their guests. Each menu includes a variety of starters, salads, and two entree options. Every plate is also served with fresh Alki Bakery rolls, sweet cream butter, and regular and decaf coffee. Couples can also design their own menu. There’s also the option of a carving station, late night snacks, and hot or cold hors d’oeuvres. For more information, contact sales@hotelinterurban.com or 206.278.7800. 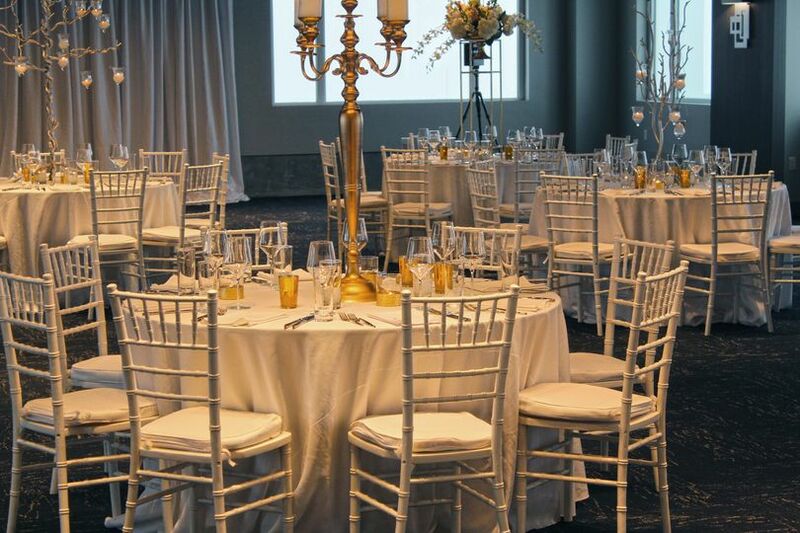 Weddings must be completed by December 31, 2019 and meet the minimum of 100 guests or more.This offer cannot be combined with any other offer or promotion and is subject to availability. Weddings previously contracted with the hotel are not eligible for this promotion. Need to show valid military ID.